Complaining about Christmas too early seems to be a season in its own right. In fact, it has become predictable when the media starts moaning about Christmas in stores and Christmas music on the radio. Christmas, they say, comes earlier and earlier every year. But does it? History says just the opposite. It starts later — not earlier. 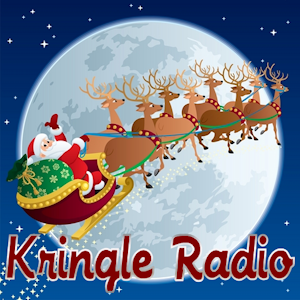 We talk about the history of early Christmas in this merry episode and why the tendency is to blame stores for Christmas making an appearance too soon. Some people have legitimate gripes about Christmas. Everything from having lost a loved one to suffering from stress, anxiety or depression is a real-enough part of the holiday season for many people. What about Christmas too early for those folks? What do you say, what do you do? The modern Christmas is a complex thing. But we think a delicate balance can be achieved by understanding things the way they are and the way they have always been. For much of modern Christmas history the urge, the tendency and the encouragement has been to always buy Christmas early. Stores do play their part but there are practical reasons they do when they do. We talk about those things. But the real power of the early Christmas comes from sources many do not consider. It comes from the government and the pressure of world events. We discuss the history of those things, too. Take for example the image from the upper right. 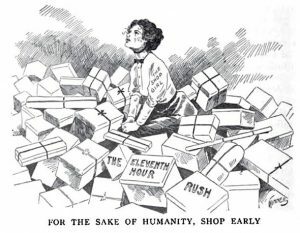 It comes from a very early 20th century newspaper editorial urging folks to shop early in order to give retailer workers a break from the last minute rush. The first world war was another period when “buy early” was the watchword for a nation anxious to support the war effort. “Buy early” was also the cry by none other than Franklin Roosevelt during the Great Depression. But at the end of the day is that it? Does Christmas in stores really define what some call Christmas creep? And is that honestly such an awful thing?